Indulge in the tempting delights that our premium series of Chocolate Cabinets afford the heart of your home. Experience the luscious appeal of chocolaty pleasures each and everyday busting neither the budget nor your diet. 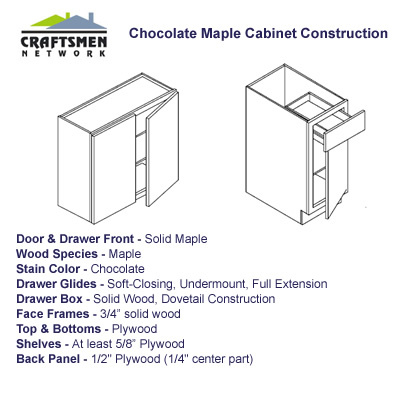 If you have come to Craftsmen Network looking for best value for your remodeling money, then you have come to the right place. 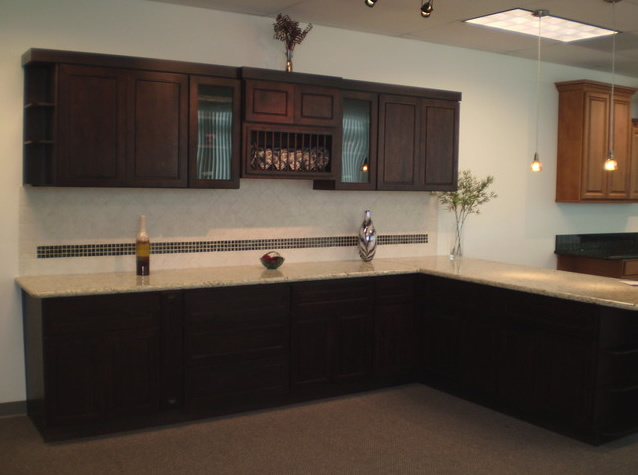 Probably the very first factor that entices homeowners when choosing from their kitchen cabinet options is the exquisite combination of style and symmetry. Chocolate Series RTA Cabinets is more than just a fancy addition to spruce up your decor. Other than being attractive, these cabinet pieces are engineered for quality to stand the test of time under the intensive conditions that is typical in kitchens. Chocolate RTA kitchen cabinets, together with the rest of our prized cabinet collections, speaks volumes of style and durability to match. Enjoy the distinct look and feel that only the dark beauty of this premium line of cabinets brings for years and years to come. Craftsmen Network allows you to make the best home improvement investment by integrating strength and functionality with aesthetics. 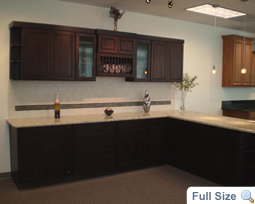 We offer a premier finish of luscious darkness that generously coats Chocolate Cabinets. Face frames and doors are made from the choicest of solid woods. Skilled engineering and craftsmanship are ensured to come up with a design that does not only meet your stylish requirements but functional needs as well. And our dedication to quality does not end here as advanced innovations are evident even to the details including hardware and accents. Whether your kitchen is traditional, transitional, ultra-modern, or anywhere in between; this choice would surely work wonders in upping the ante of the interior design.